A bit noisy. Perhaps a combined PSU with an external AC/DC adapter would solve the problem. The case build is solid and I'm very pleased with how it looks. Internally the layout works well, not too cramped and good airflow. Assuming a 12.5mm slot optical ROM there is ~60mm clearance for a cooler. The case requires a motherboard with at least 2 usb 2.0 headers. The bundled PSU fan and 60mm (3 pin) case fan are LOUD. The case is provided with no feet. The instructions are in Chinese. 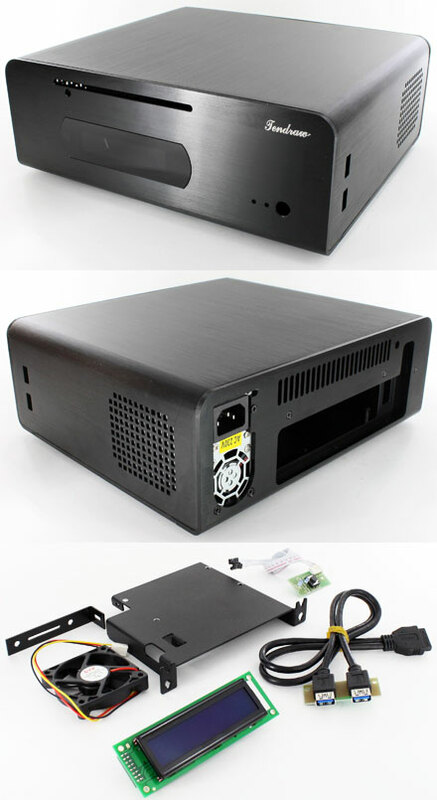 All in all this is a good looking case with nice features but the bundled PSU and fan are a bit too loud. Hello,Mine didn't come with a power supply.Waiting for CArTFT to solve this.